The large majority of states are experiencing few delays in scheduling entry-level truck drivers for their skills tests, according to a new congressionally mandated survey conducted by the Federal Motor Carrier Safety Administration. The calendar year 2016 survey, delivered to Congress in September but made public this month, was taken to determine the extent of delays that new truck drivers are facing that industry stakeholders say contribute to a driver shortage and slow employment start dates for new drivers. The issue has been high on the list of concerns by the industry, which has for some time been experiencing critical shortages and is eager to put new drivers to work. FMCSA concluded its report more than a year after the congressional deadline. The agency did not comment on the results, other than to say it is making funding available to help states speed up the wait times. The survey showed that 30 of 46 states that responded had no scheduling delays in granting drivers their test date choices. The state with the longest delays was New Jersey, which required drivers to wait 47 days for their skills tests. Drivers in Alaska had to wait 25 days, and in California it was 23. The waits in Massachusetts were 16 days, 14 days in Texas, 13 days in Oregon and 11 days in Maryland, according to the survey. The survey was sent to all 50 states and the District of Columbia. Lefeve said that some states were failing to report all their numbers, while others were not responding, and the agency was not including raw data in the report. CVTA is working on a report that will show the economic impact of the delays. “We suspect the delays are having a profound effect,” Lefeve told Transport Topics. 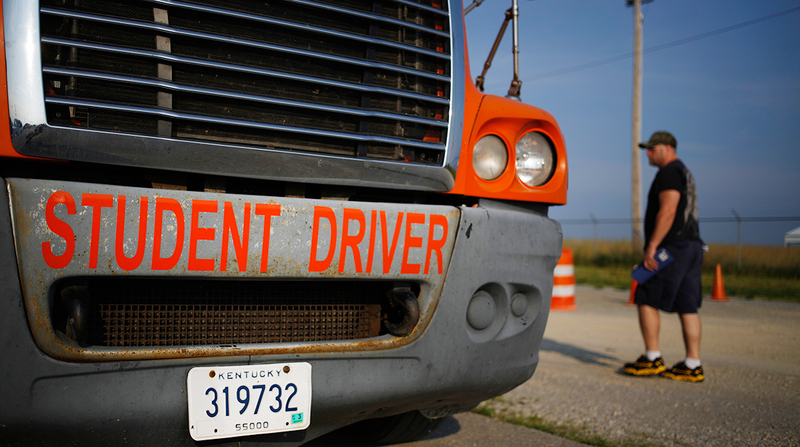 To obtain a commercial driver license, a student must first pass a written test to obtain a commercial learner permit. In all states, CLP holders must then wait at least 14 days to become eligible to take the behind-the-wheel skills test. The survey also called for states to list their retest wait times, the number of qualified examiners and the number of available testing programs. The retest net wait times ranged from a high of 32 days in Alaska to zero days in nine states. The states with the largest numbers of qualified examiners ranged from four in the District of Columbia to 514 in California. Pennsylvania has been called a model for its zero skills-test delays, according to CVTA. The state’s 451 qualified examiners administered nearly 31,000 tests at 143 sites, according to the survey. A 2015 Government Accountability Office report to Congress first revealed significant variances among states’ CDL skills test delays ­­— the time from when a CDL applicant ­initially requests to take the test and the first opportunity offered to the applicant. The expiration of an applicant’s commercial learner permit, requiring the applicant to renew the permit. Financial hardship due to training costs and the wait time before acquiring a paying job of driving with a CDL. A loss of potential commercial motor vehicle drivers who find alternate employment before obtaining a CDL. The report summarizing the delays noted that FMCSA offers Commercial Driver’s License Program Implementation discretionary grant funding to help eligible states improve the wait times. “In fiscal-year 2018, more than $31 million in CDLPI grants was awarded to 23 states; we continue to encourage all state licensing agencies to apply for these funds to boost efficiencies and productivity,” FMCSA spokesman Duane DeBruyne told TT.